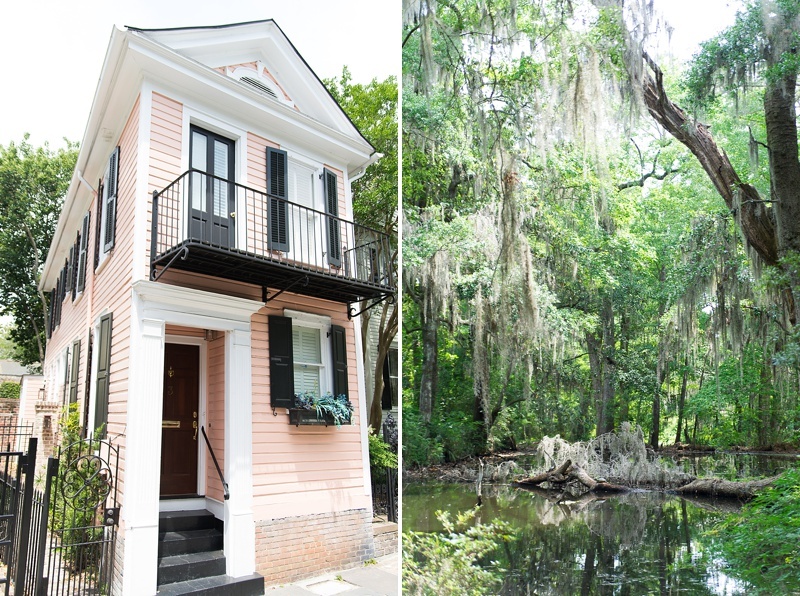 Pastel buildings, pimento cheese, and Spanish moss charm visitors the moment they step into this historic city. 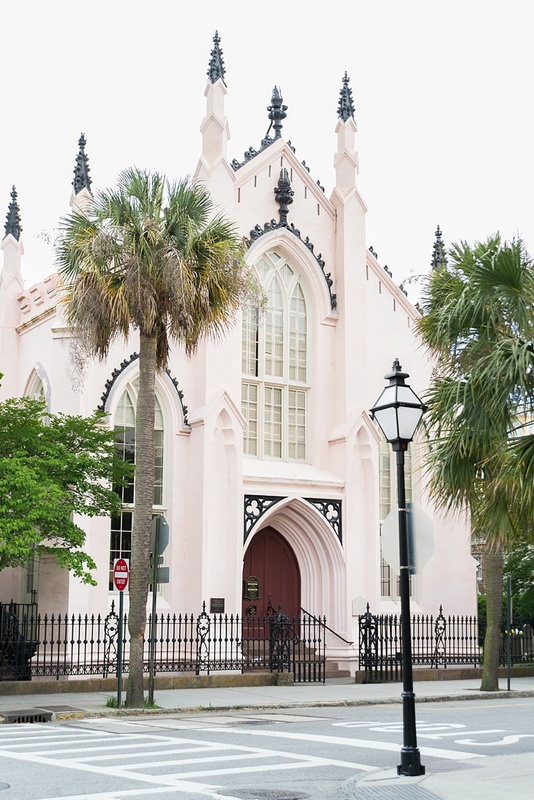 "I'm going back to Charleston, where there is still a little grace and civility left in the world." 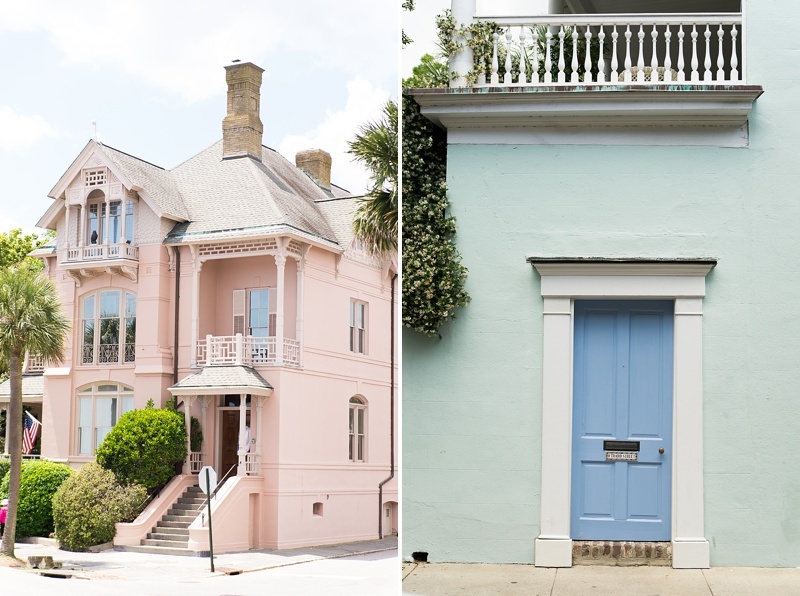 hether you are an American Revolution buff or fan of the antebellum era, Charleston is a gorgeous pastel-dappled town with a rich history, delicious food scene, and one heckuva charming Southern destination in the Lowcountry of South Carolina. We visited in May, and it was a mixture of sunny and rainy days, so packing a rain jacket isn't a bad idea! Beyond the clouds, it's very similar weather to Virginia's: warm and humid. Since Charleston is a walking city, comfortable shoes are a must along with shorts, dresses, and other lightweight summery fabrics. To help stay within our moderate vacation budget, we stayed just outside of Charleston at the Hilton Garden Inn in Mount Pleasant. It's the perfect location-- just across the Arthur Ravenel Bridge and only a 10 minute drive from the historic district. 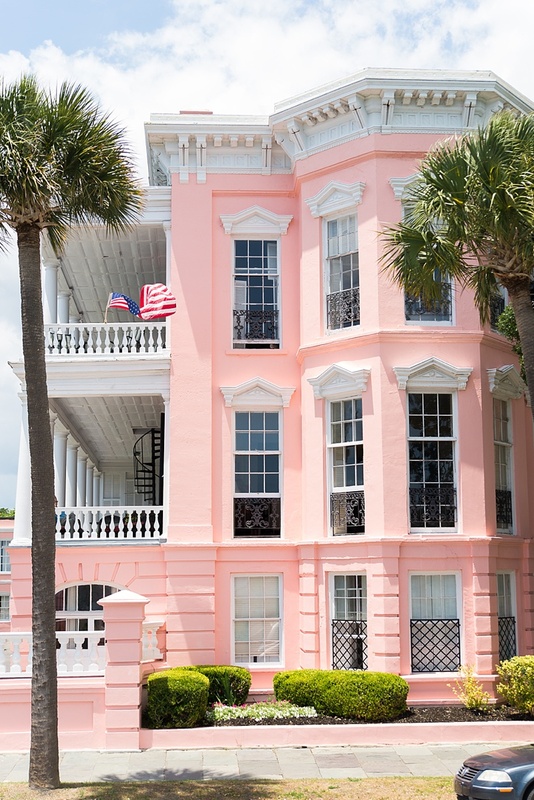 You could wander any of the streets in the historic district to find beautiful old homes, but we recommend starting along Battery Park, for the biggest and grandest of them all. 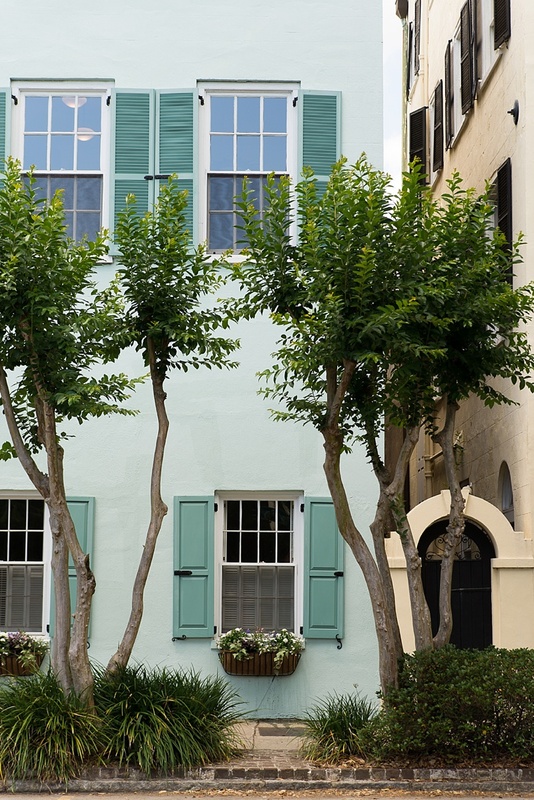 Before setting out, read up on Charleston single houses and shotgun houses so you can recognize them as you wander. Charleston is also surrounded by beautiful plantations such as Magnolia Plantation or Middleton Place. At Middleton Place, you can see the remains of the original main house, tour the still-standing guest house, wander through a beautiful landscaped garden, and learn about the workings of a rice plantation. At Magnolia Plantation, you can walk through acres of romantic gardens, tour the large plantation house and learn about several generations of the Drayton family, see orchids in the conservatory, and even visit the zoo and nature center. If you're a Civil War enthusiast, a trip over to Fort Sumter, which is a short ferry ride from the coast of historic Charleston. It is, after all, where the American Civil War began on April 12, 1861 and forever changed the historic landscape of our country. Another day trip can take you to Charleston Tea Plantation, the only tea plantation in all of North America. Take a trolley tour of the plantation and learn all about the growing and production process of tea or take a factory tour and see the leaves being processed in America's only tea factory. If you love your cuppa, then there really is no other option but to experience this farm-to-cup opportunity. Quick Tip: It rains often in Charleston, and when it does, it can flood many of the streets. It's a good idea to have a rain day plan in mind before visiting. We'd recommend the South Carolina Aquarium as long as the streets aren't flooded! 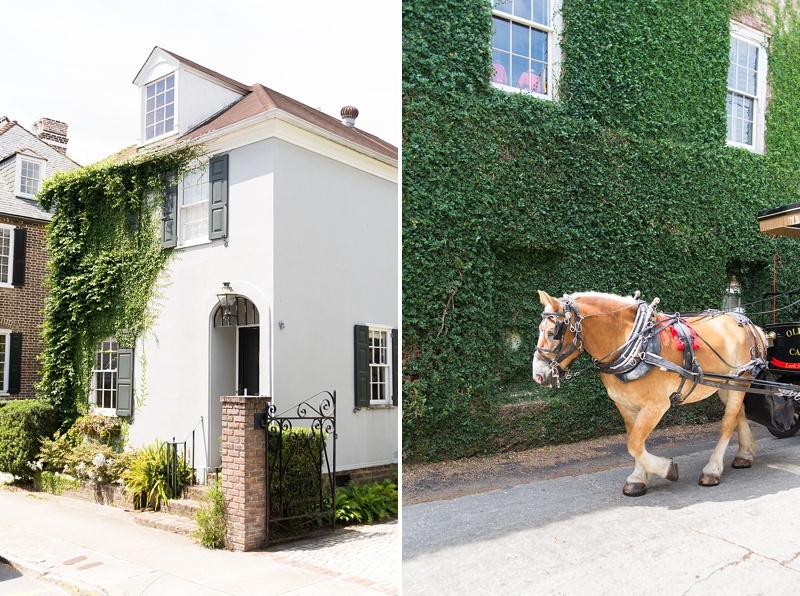 No visit to Charleston is complete without taking a carriage tour from one of the many local companies. We have used both Palmetto Carriage Works and Old South Carriage Company and loved both tours. Rainbow Row is probably the most photographed street in Charleston. It's so popular that it's even a location on Google Maps! 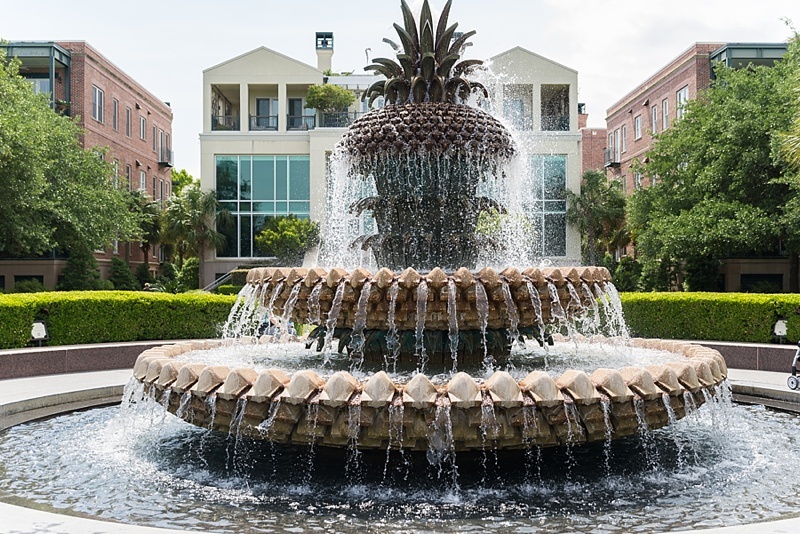 The Pineapple Fountain at Waterfront Park is also an iconic Charleston spot to stop for a photo. Quick Tip: All of Charleston is such a photogenic city and bringing a camera is a must! If using your phone camera, check out VSCO or Snapseed to edit your photos on the go! Where to even begin with Charleston's food culture? Local specialties are Southern favorites like fried green tomatoes, fried chicken biscuits, and anything with pimento cheese! From Poogan's Porch, a great place for southern cuisine in the heart of the historic district, to Boxcar Betty's, a gourmet fried chicken sandwich joint all about eco-conscious practices, there is enough fried food around this city to make your tummy and tastebuds sigh in happiness. For a taste of BBQ and the most delicious mac and cheese, Fiery Ron's Home Team BBQ and Crave Kitchen should be top of your dining list. Close to our hotel in Mount Pleasant, Crave has award-winning mac and cheese and a variety of toppings to put on it. It's certainly the most expensive mac and cheese I've ever eaten, but they aren't kidding around. It's seriously delicious and the portions are huge! Ryan and I could have easily split one for dinner since we also got a cup of soup and a side of grilled vegetables. I took most of my pulled pork mac and cheese back to the hotel! If you're a Diners, Drive-ins, and Dives fan, then you'll be able to check off Early Bird Diner on your list! You can get breakfast all day, but they have lunch and dinner entrees, too. They also have all the good old Southern sides, so this is a great place to chow down on fried okra, mac and cheese, and fried green tomatoes. Quick Tip: For a delicious summery snack, we discovered Belgian Gelato on our honeymoon 5 years ago. It was my husband's favorite place from our first trip, so it was a no-brainer to stop by again. It's so good! There's a reason why this place is my most favorite U.S. city. 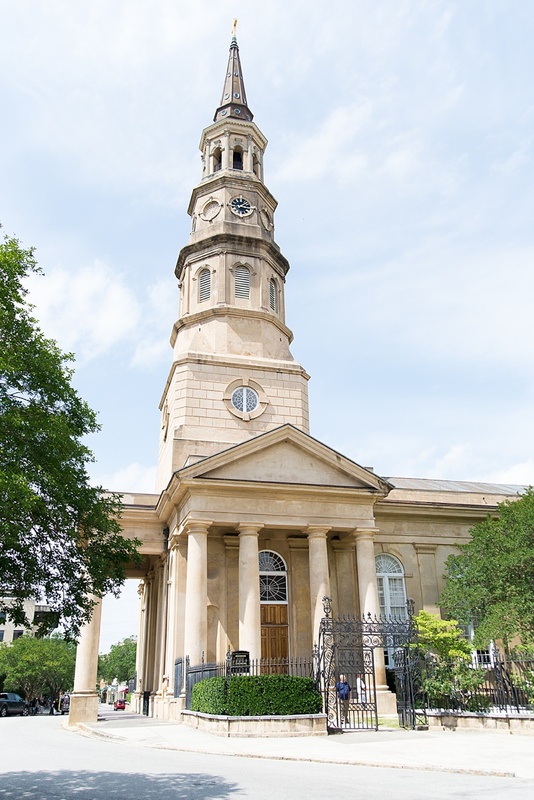 Charleston is one of the most romantic places in the South, making it a perfect vacation for Virginia couples and a destination that we will always return to when we can!